Keep Running, previously known Running Man, or Hurry Up, Brother before 2017, is a Chinese variety show broadcast on ZRTG: Zhe Jiang Television .It is a spin-off from the popular original South Korean variety show Running Man by SBS .It was first aired on 10 October 2014. The show is classified as a game-variety show, where the MCS and guests complete missions at a landmark to win a race. At the date of 13th April , zhe jiang TV “Keep Running ” came back. “Keep running” ran into the “The kingdom of Music “(Vienna, Austria) transnational recording, bringing the joy of “running”. “Music is the soul of Vienna”, As you known many musician, Such as Haydn, Mozart, Beethoven, Schubert, John Strauss and his son and Brahms has spent many years of the music career in here, “The Marriage of Figaro” from Mozart, “The Symphony of Destiny” from Beethoven and ” The Beautiful Blue Danube “and “Tales from Vienna Woods “from John Strauss, and other famous music were born from here .Running man come here is to learn the spirit of persistence from these musicians. In the program, the brothers not only ran into the United Nations attended an alternative interview with the interviewer, but also faced the ultimate challenge of the sustainable development English speech of United Nations. Vienna, the capital of Austria, is an important cultural center in Europe and enjoys the reputation of “the world capital of music “. In addition to music, Vienna has a deep historical connection with the United Nations. The United Nations Office at Vienna is one of the four United Nations offices in different countries. At the beginning of the performance, Each running man is wearing marked “17” embroidery of the characters with three music related lapel pins ,including Heart-shaped piano lapel pins, Note lapel pins and Guitar lapel pins . Obviously their dress perfectly to show kindly friendship between “the kingdom of music ” and UN . 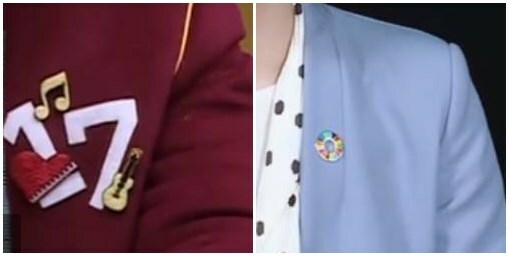 At the ending of sustainable development English speech , each speaker and audience wear on a symbol of the theme lapel pins to explore their great importance and take pride in the sustainable development English speech of United Nations. Obviously, you already know that pins are useful tool for reinforcing the identity and sense of belonging of members. Custom lapel pins are a very popular way to get your message out in the community or program . They are walking advertisements ,tiny reminders of who is affected. You can use custom lapel pins to appreciate and identify members’ achievements, excellent services, and perseverance. GS-JJ supply different kinds of pins to meet every request. Whether you are looking for the running man same design pins or personalized lapel pins, our team is always ready to offer you with quality pins at a reasonable budget. Ordering custom lapel pins from The GS-JJ is a simple process. 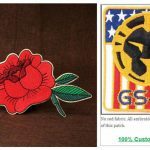 Visit the website gs-jj.com , Our Custom Pins have Automated Quotation System for Custom Lapel Pins, you can easy to Select what your Lapel Pins needs online. You can easily send your request to us by email to Info@GS-JJ.com. Our design team will also prepare an artwork proof and supply you with a reply via e-mail in 24 hours. And also, if it is even easier call for free 1-888-864-4755. Call and ask for discount for the running man same design lapel pins ! We’re here to assist you with your need and help provide you a free artwork and design services with 100% Satisfaction guarantee. 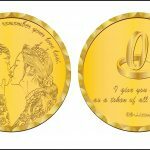 ← Royal wedding with Royal coins, how about you? tsyxmnhx,Thanks for ones marvelous posting! I actually enjoyed reading it, you will be a great author.I will always bookmark your blog and will gqltyvgsnu,come back from now on. I want to encourage that you continue your great writing, have a nice afternoon!